Grand Central Publishing, 9781455565863, 256pp. 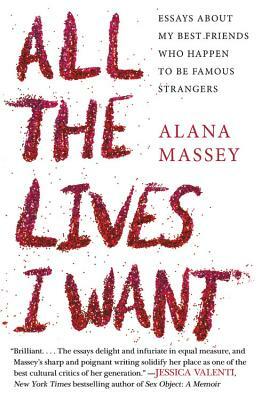 Signed with Grand Central Publishing since June of 2015, Alana Massey is a writer whose work covers culture, labor, identity, and mortality. The popularity and substance of her writing has earned her the attention of publications like The Awl, The Columbia Journalism Review, and Forbes, who have all published profiles of the author. Massey counts authors like Leslie Jamison, Molly Crabapple, Heather Havrilesky, and Rebecca Traister as admirers of her writing, in addition to her sizeable Twitter following that has tripled in size each of the last two years. Massey's essays, criticism, reviews, and reporting appear regularly in publications like The Guardian, New York Magazine, Elle, The Atlantic, Hazlitt, Buzzfeed, and more.